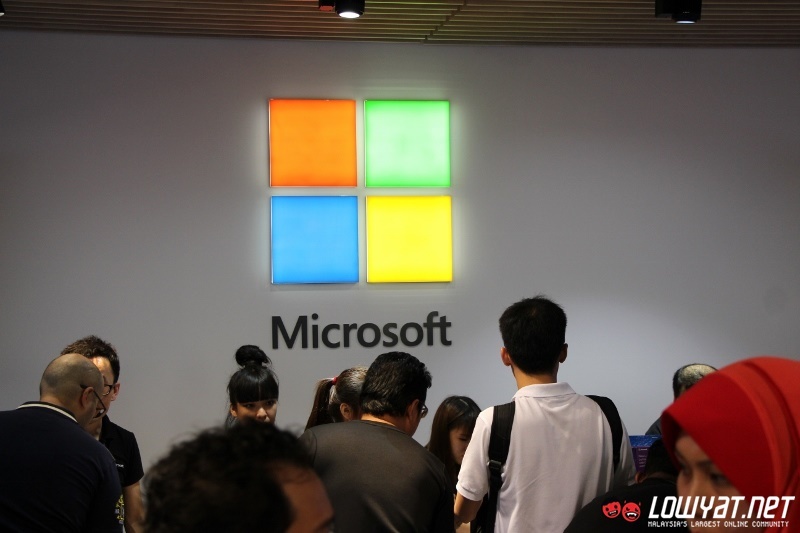 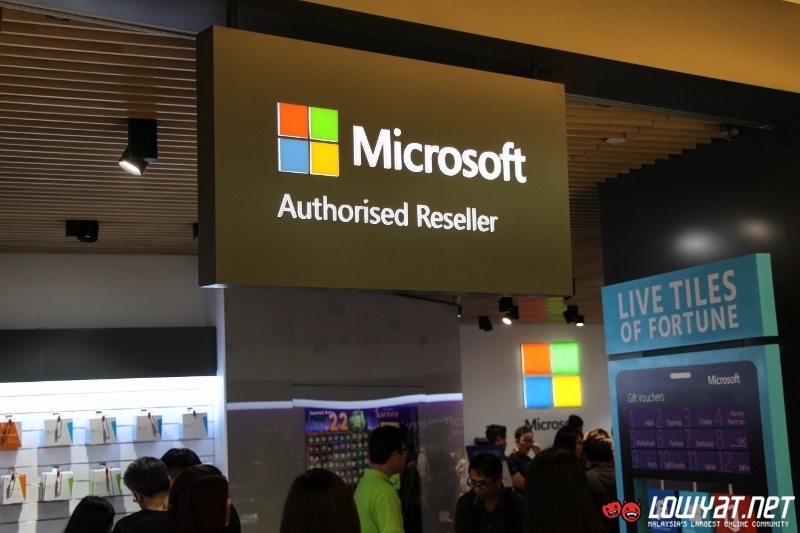 Located at Suria KLCC, Microsoft earlier today has launched the first ever Microsoft Authorized Reseller Store in Malaysia which is also the first of its kind in Asia Pacific. 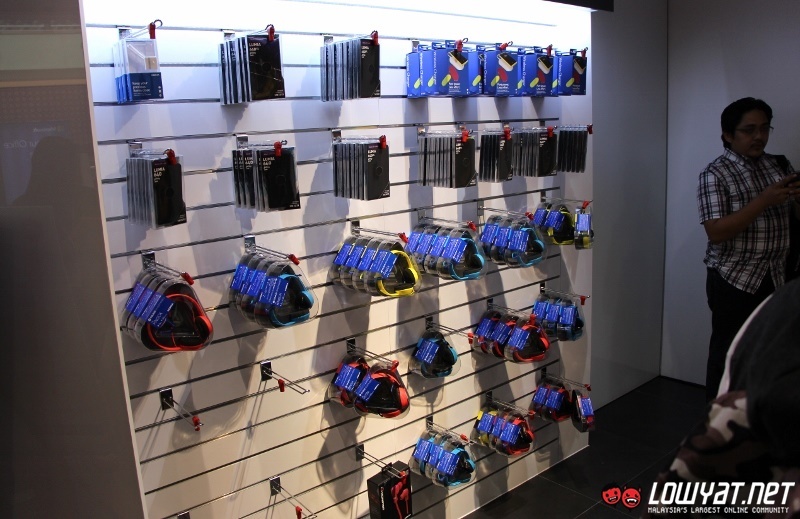 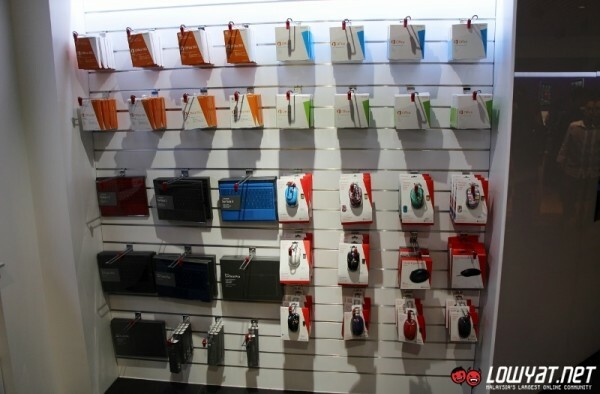 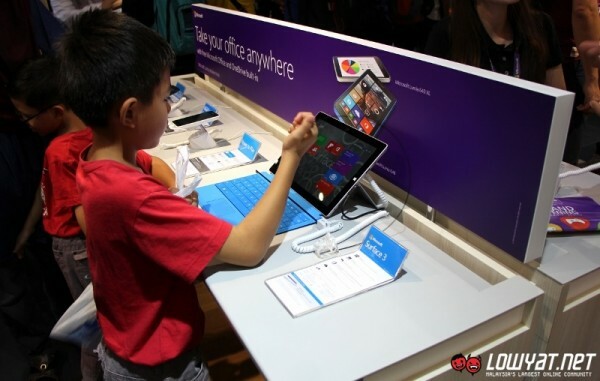 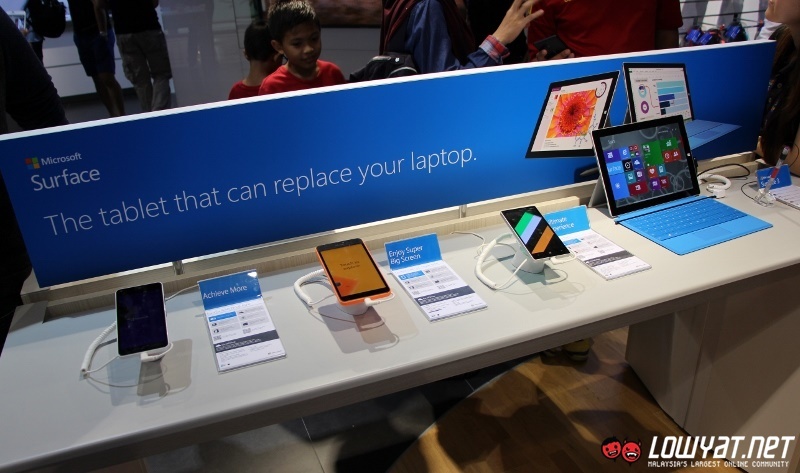 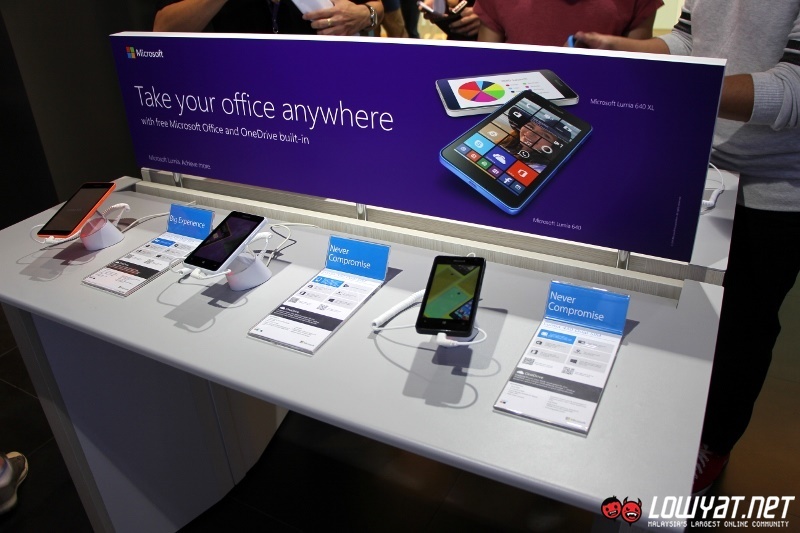 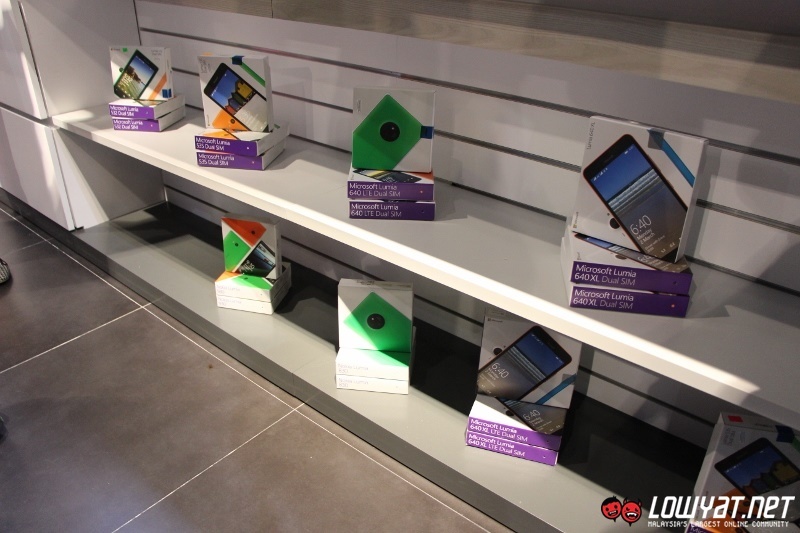 Originally a Nokia Store, the outlet features exclusively Microsoft first party products such as Lumia smartphones, Surface tablets, and Office 365 as well as related accessories to go with them. 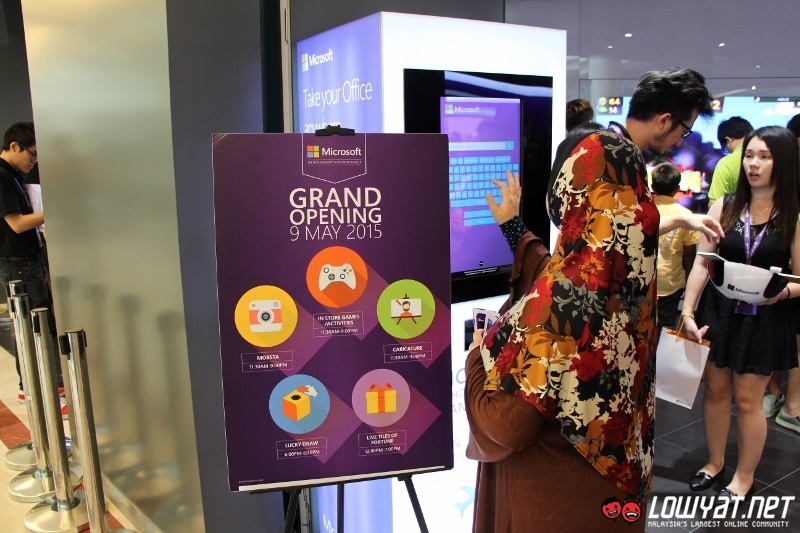 Here’s a quick look at the sights and sceneries of the new store during its launch earlier today. 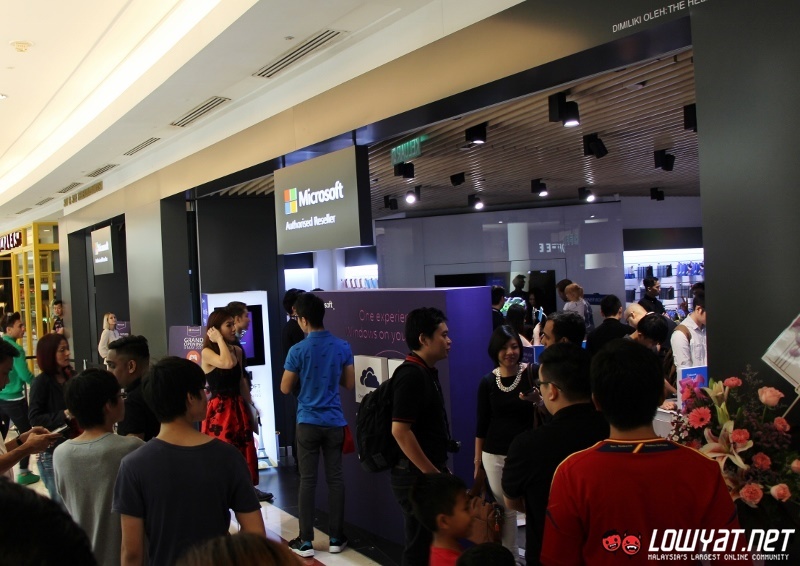 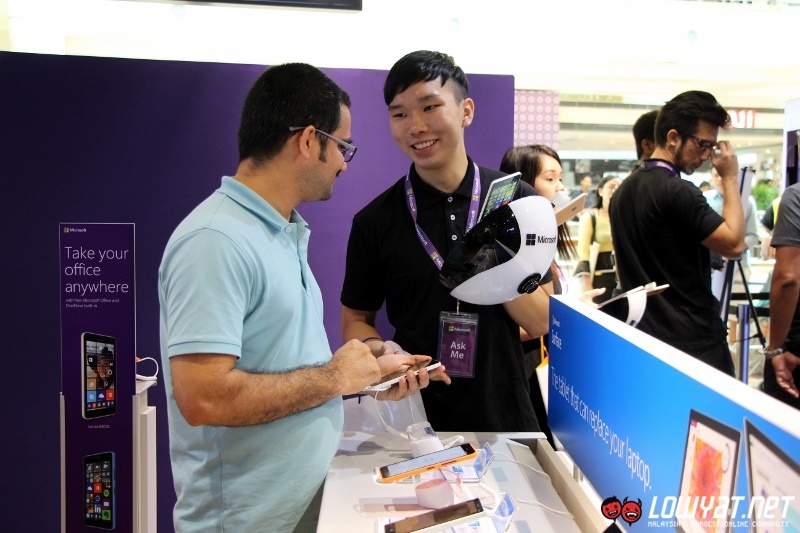 It is not surprising that quite a number of consumers have already turned up in the morning as Microsoft was giving away Monster headsets to the first 50 customers that purchased Lumia smartphones or Surface tablets at the store today. 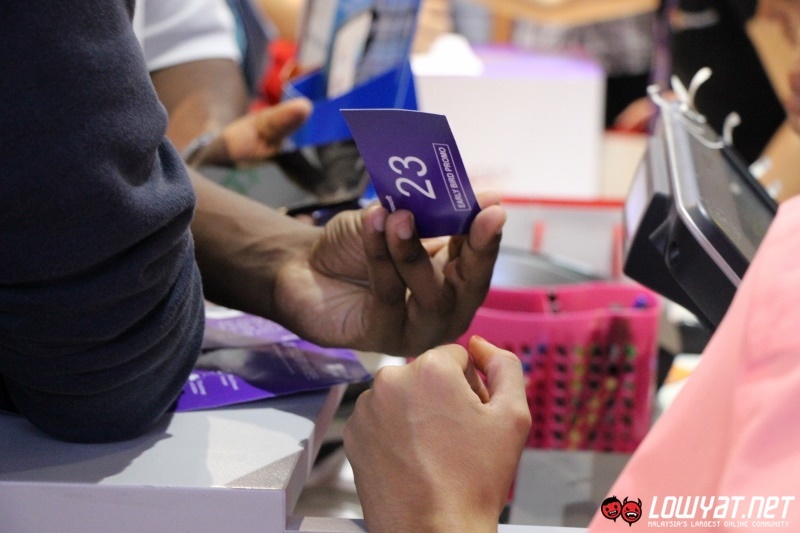 Additionally, any customers (not only limited to the first 50 above) that purchase Lumia or Surface devices today will also receive a chance to win gift vouchers as well as a pair of return flight tickets to Paris. 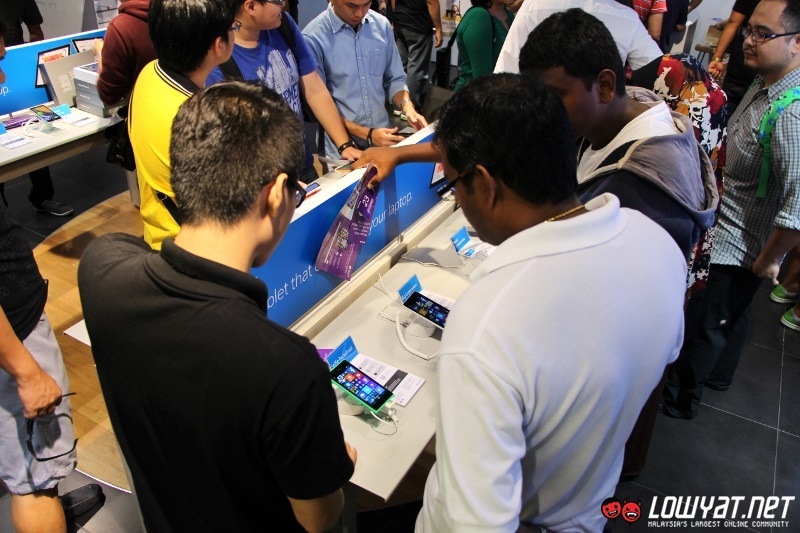 At the same time, the AirAsia Big Points promo for Lumia 532 and Lumia 535 can be obtained at the outlet as well. 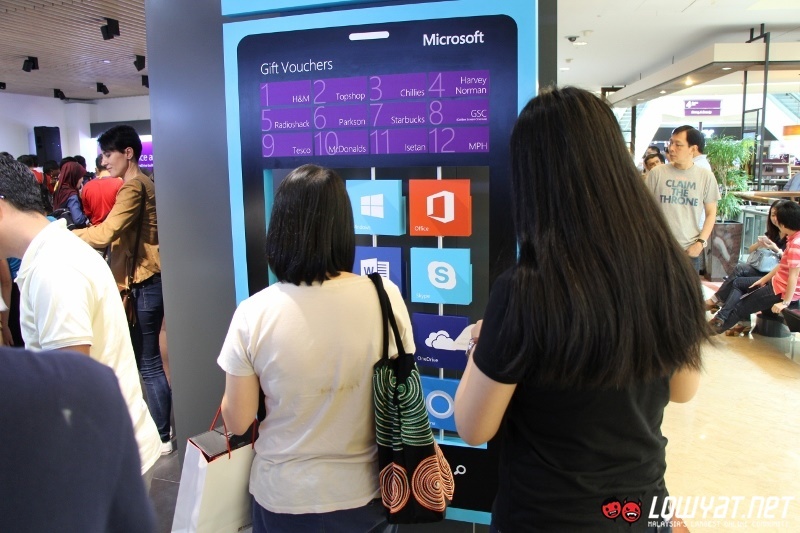 Not enough with that, Microsoft is giving away Limited Edition Gold Lumia 930, Lumia 535 with Coloud Boom headset, and Lumia 530 to visitors who able to strike good enough pose through Fotobox’s Mobsta mobile photobooth. 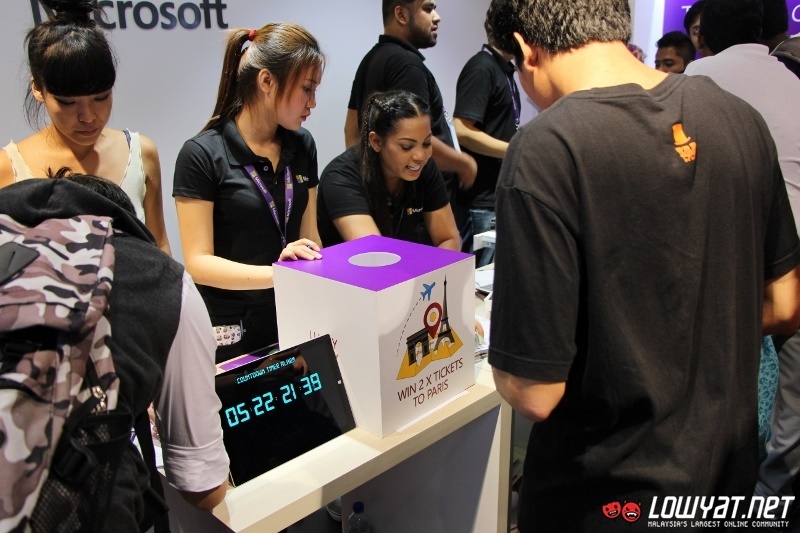 There was also a mini Zombie Tsunami competition that happens every three hours in which visitors were able to win external hard drive, Microsoft Treasure Tag and Coloud Boom Headset. 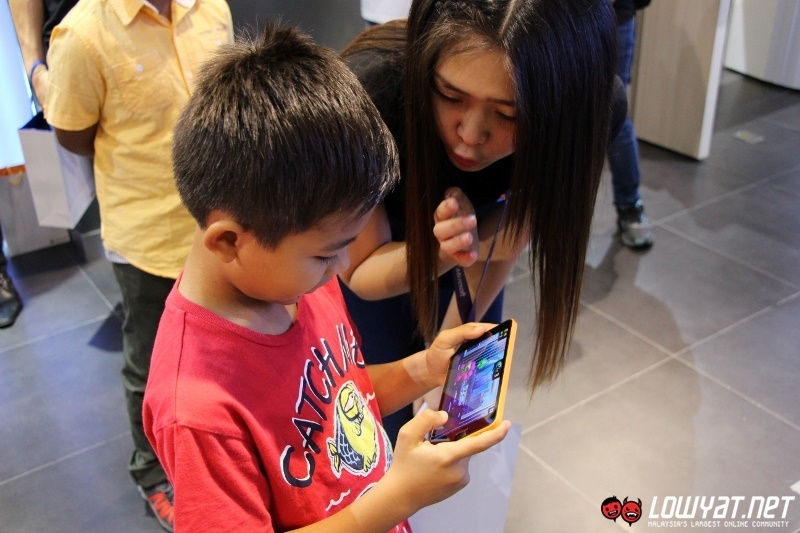 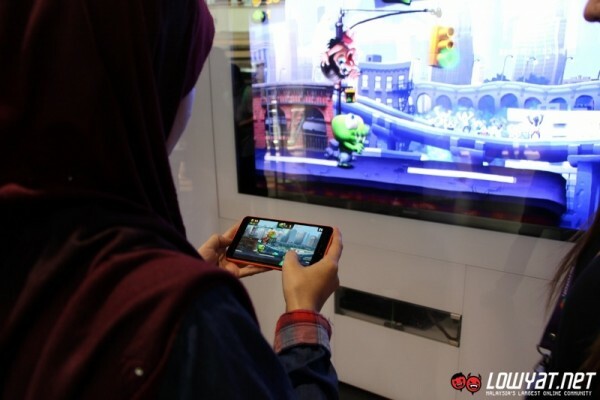 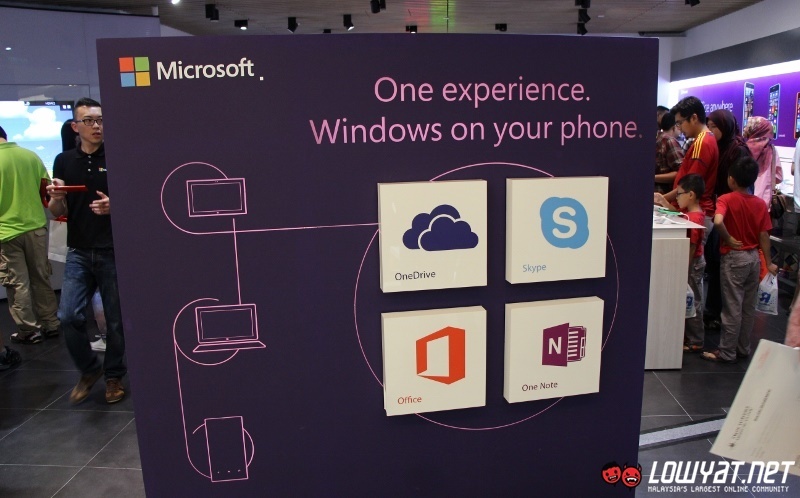 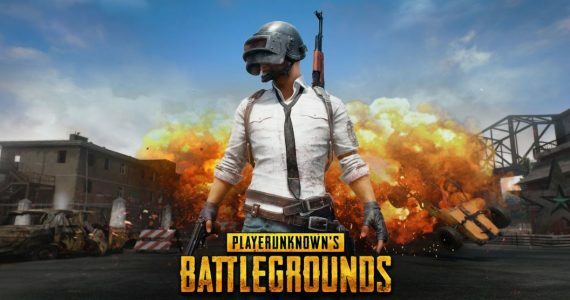 Since the competition happens to use a Lumia 640 XL, it also showcased the Miracast wireless display capability of the smartphone since each gameplay is transmitted to the store’s giant TV. 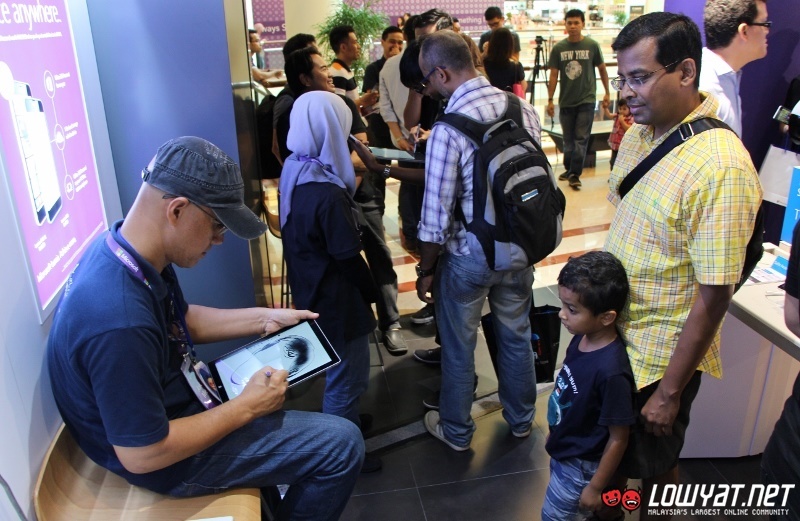 Visitors to the store today were also able to obtain free caricature drawn on the spot by artists on Surface Pro 3. 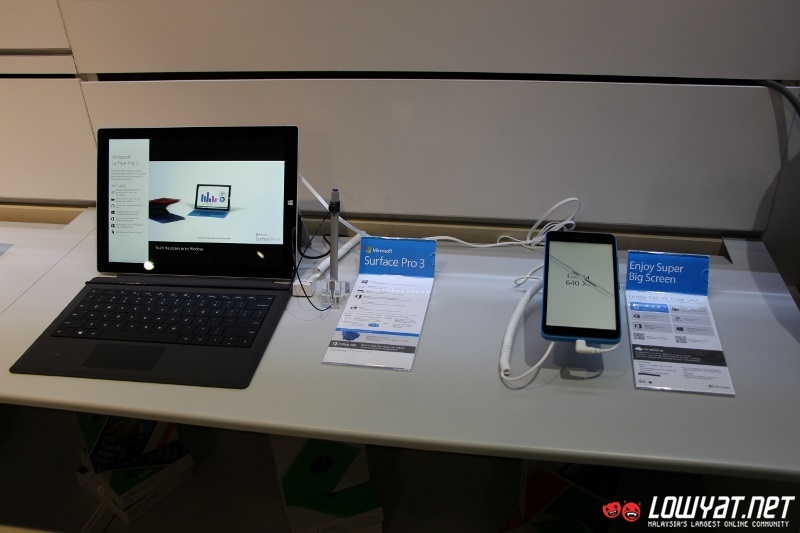 As you might know, Surface Pen is one of the main selling point for both Surface Pro 3 and Surface 3. 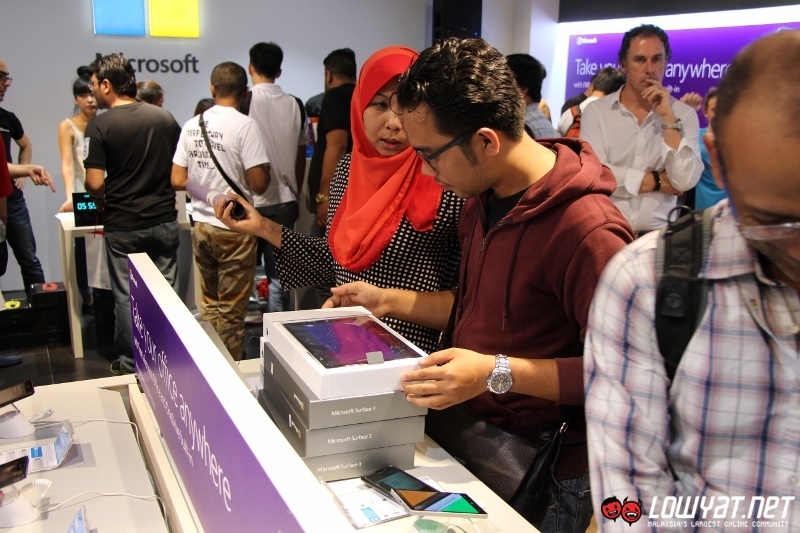 Of course, the new Surface 3 which is released in Malaysia today can be purchased at the new Microsoft Authorised Reseller Store at Suria KLCC. 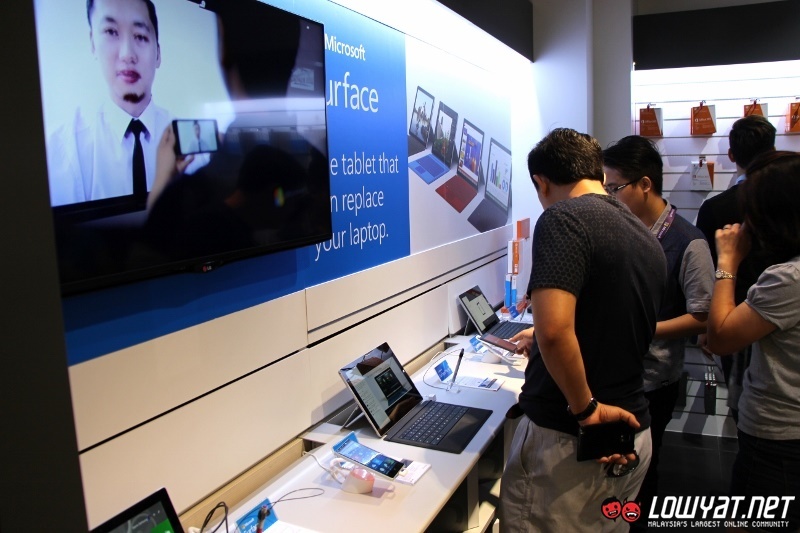 Interestingly, a customer has informed us that the 128GB version of the tablet was sold out almost immediately at the store. 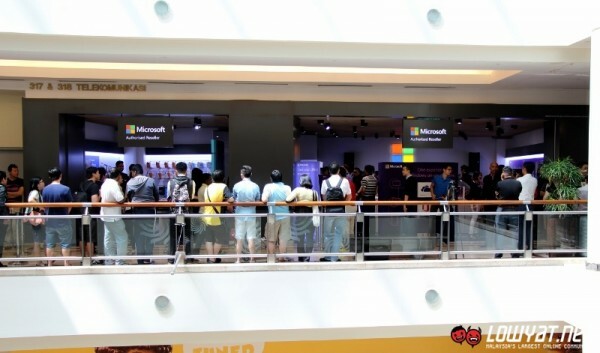 Despite the abundance of Microsoft products at the outlet today, we do realized that there are still plenty of Microsoft products* are not available at the outlet just yet. 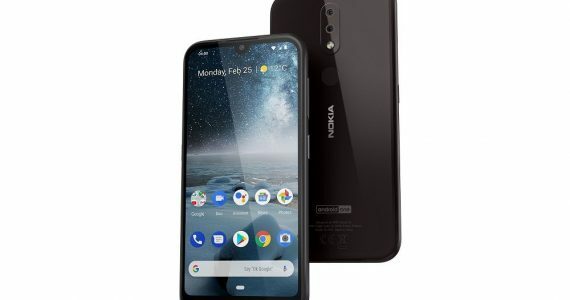 Such products include Nokia feature phones and boxed version of Windows. 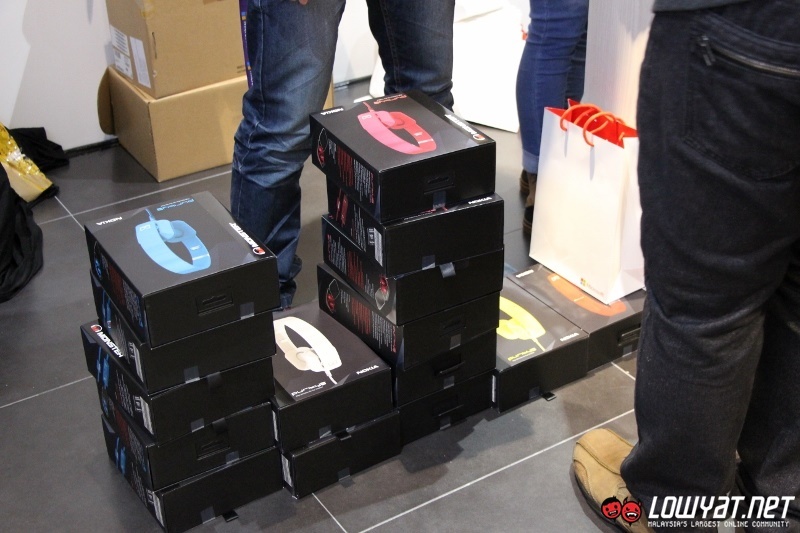 Huge range of Microsoft Hardware products are missing as well such as keyboards, and gamepads. 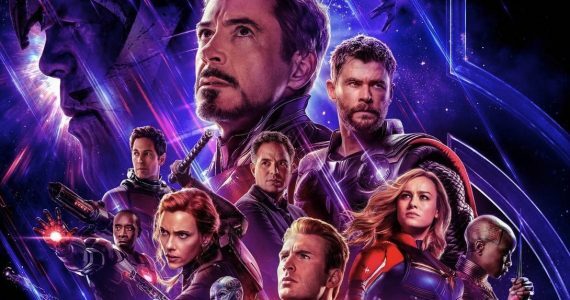 We were told that they are coming though, so there’s that. *We don’t mean the likes of Xbox One or Microsoft Band which have yet to be released into Malaysia at the moment, by the way. 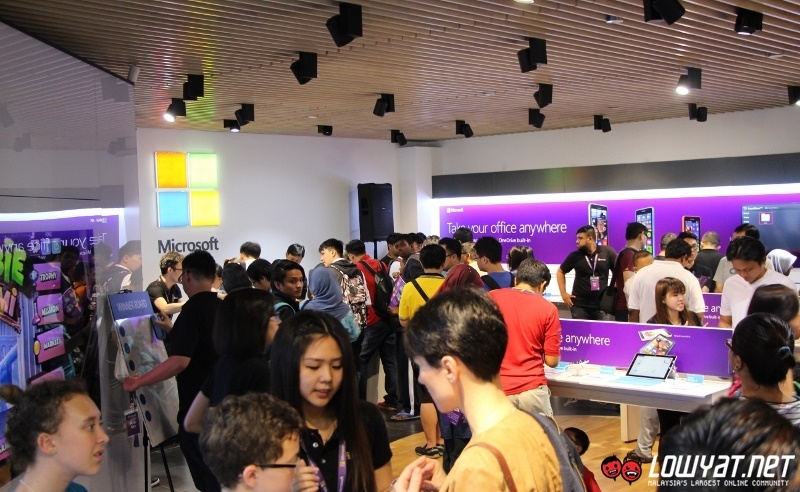 There you have it, a general look at the first ever Microsoft Authorized Reseller Store in Malaysia which is located at the third floor of Suria KLCC during its launch earlier today. 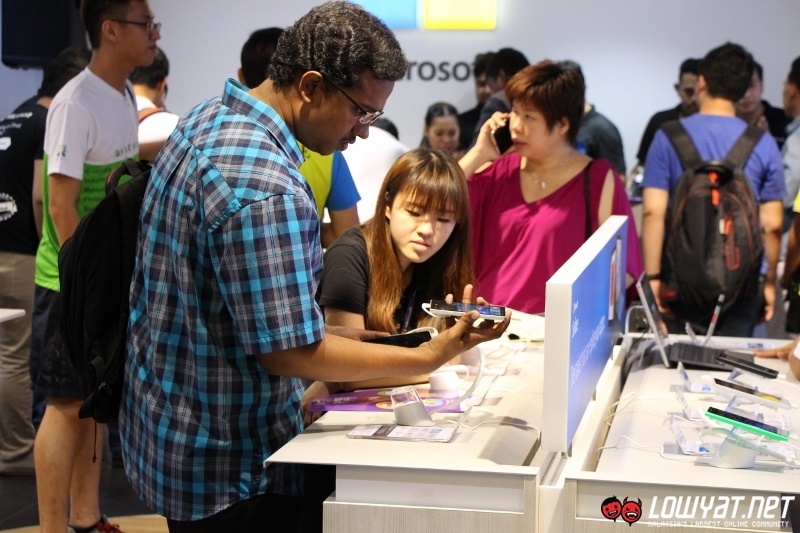 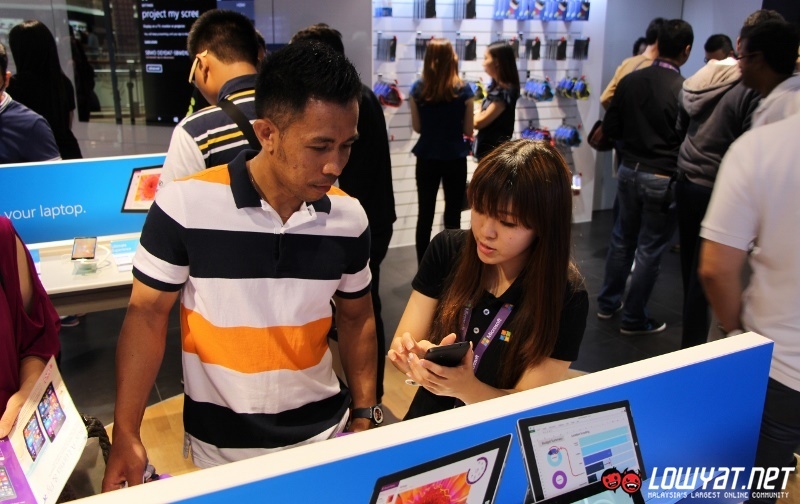 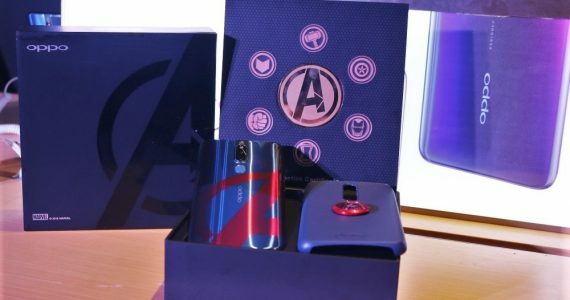 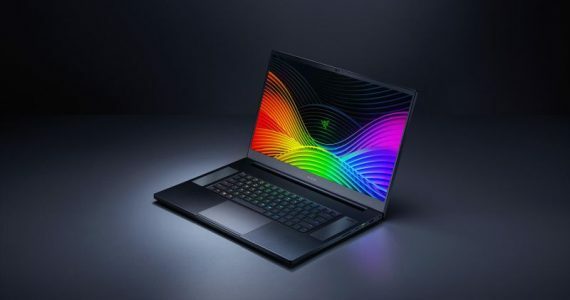 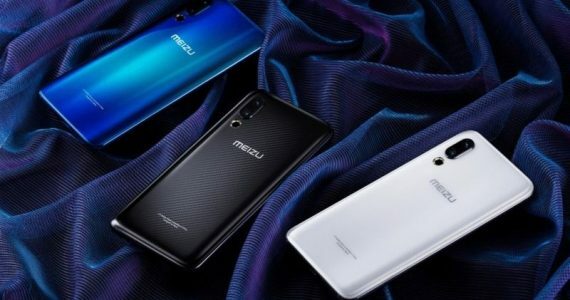 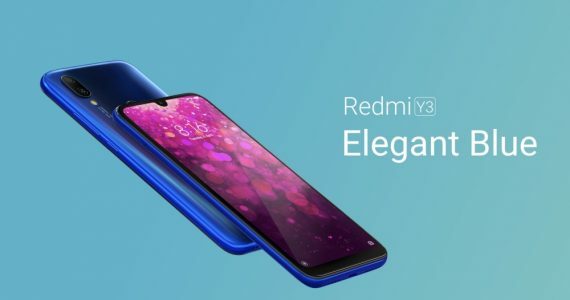 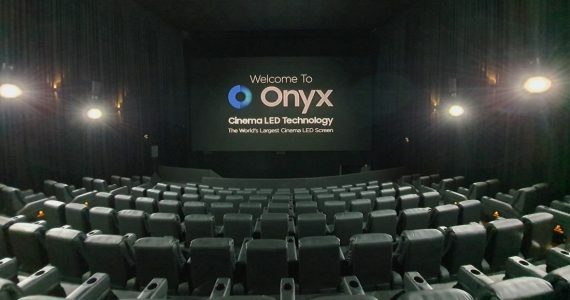 There will be 13 more such exclusively branded stores as well as 25 Microsoft Mobile Reseller Stores to be launched throughout the year in Malaysia, so chances are you will stumbled upon one such store very soon.